Beautiful countryside, a cosmopolitan resort, historic sights as well as sporting activities, the Paphos Region has something for everyone at any time of the year. Whether you are a sun seeker, an explorer or someone looking for relaxing holiday with great scenery, there are so many reasons to visit this beautiful part of Cyprus. Venus Beach Hotel is adjacent to the archaeological park of the Tombs of the Kings, the most important ancient site in Paphos, and is situated on a natural sandy beach. A variety of restaurants offer a wide range of choice for an incredible array of daytime and night time dining experiences. 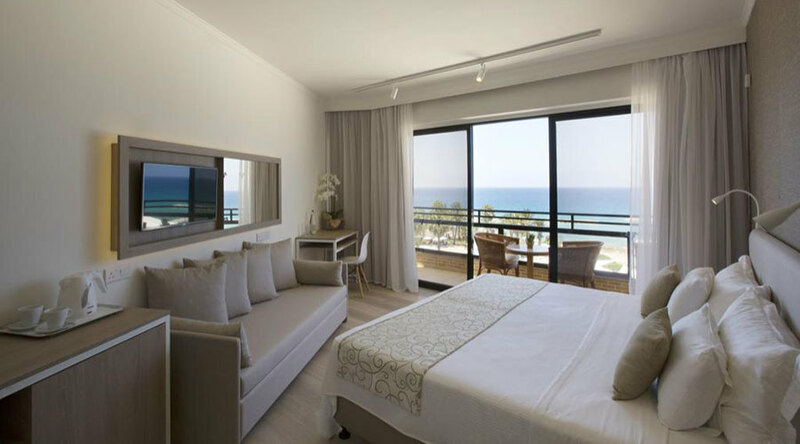 All rooms are equipped with air conditioning and heating, have balconies, and feature a minibar, safe, hair-dryer, satellite TV and DTT. Some offer panoramic views of the surrounding land and hills and some overlook the sea. 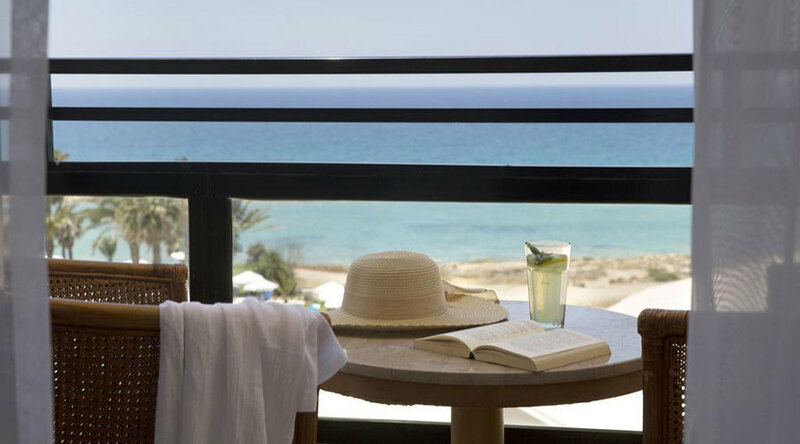 Venus Beach Hotel is adjacent to the archaeological park of the Tombs of the Kings, the most important ancient site in Paphos, and is situated on a natural sandy beach. 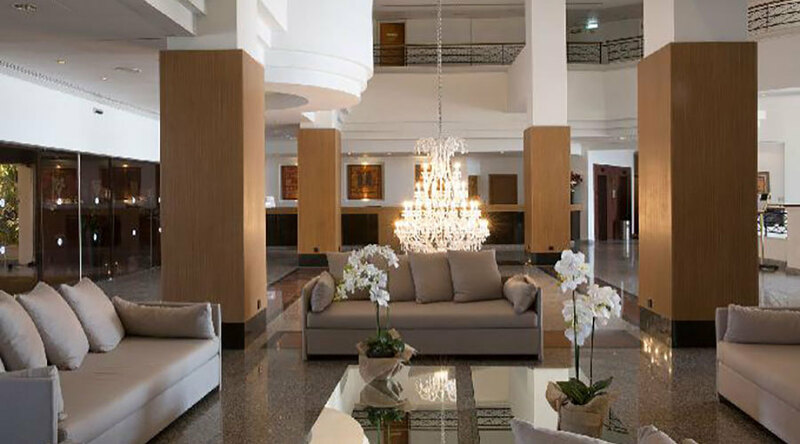 A variety of restaurants offer a wide range of choice for an incredible array of daytime and night time dining experiences.All rooms are equipped with air conditioning and heating, have balconies, and feature a minibar, safe, hair-dryer, satellite TV and DTT. 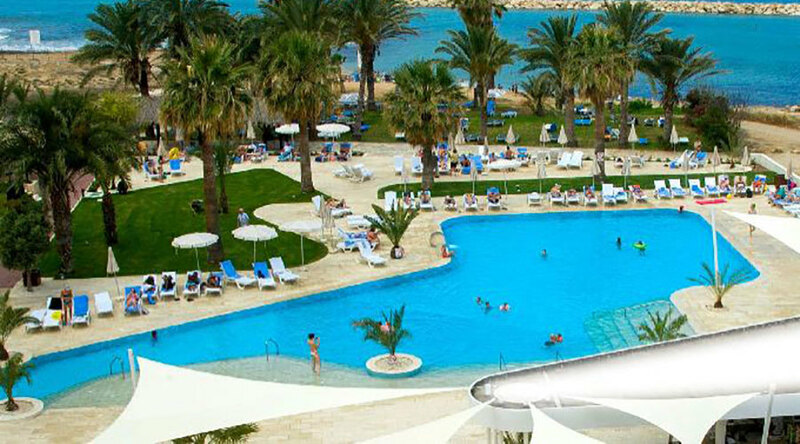 Some offer panoramic views of the surrounding land and hills and some overlook the sea.The large free-form outdoor pool is ideal for relaxing with drinks served at the pool bar, and there is also an indoor pool. For children there is a separate children's paddling pool as well as amusement games, table tennis and pool tables.